In the middle of Taiwan, one modern-day hero tirelessly labors to end human trafficking. This hero is the Reverend Peter Nguyen Van Hung. 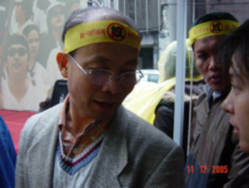 Van Hung is a 48-year-old Catholic priest, who started the Vietnamese Migrant Workers and Brides Office in Taiwan. In the three years they have been open, Van Hung and his staff have helped over 2,000 Vietnamese women escape exploitation. Over 7,000 Vietnamese migrant workers and brides are in Taiwan today, and many of their lives are being saved by Van Hung. I chose Van Hung as a hero because he exemplifies true heroic qualities. He has taken his own life experiences and beliefs, and now dedicates his life to helping those who do not have the power to do so themselves. As a woman myself, I cannot imagine the lives of these Vietnamese women. I am so humbled that a hero like Van Hung is working endlessly to restore human freedom and dignity to women. Van Hung grew up in Vietnam in a household which opened its doors to strangers and those in need. Van Hung would even use his own earnings as a child to buy food for the poor. He grew up with stories of communist atrocities, and at the age of 21, escaped on a boat to Japan. He then joined a missionary society and was ordained as a Catholic priest. When he was assigned to Taiwan, he witnessed a whole new atrocity. Vietnamese women come to Taiwan as brides, maids, and factory workers. 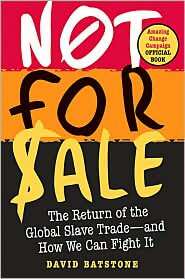 Often their lives are negotiated through labor brokers and bosses, and they arrive only to be exploited and abused. Van Hung says Vietnamese “are always suspicious and easily controlled, it is part of the psychic problem of Vietnamese society." He goes on to say, "When I come to talk and to empower them about their rights, I discover a huge hidden fear.” If they choose to protest their treatment, the government does not allow the women to work while their case is being heard. For this reason, Van Hung opened the Vietnamese Migrant Workers and Brides Office. Here the women can go to take self-improvement and language classes, receive counseling, and receive refuge. Van Hung works eighteen hours a day, arguing cases in court, rescuing new victims, and working for international reform. Van Hung is one of the few religious leaders speaking out against these horrible atrocities. And because of his love and devotion, thousands of women have been saved from life as a slave. Also, because of his efforts, the U.S. State Department has listed Taiwan on their Tier 2 Watch List for human rights violations. Even though Hung is threatened and often in personal danger, he keeps fighting for human rights. "I try to be careful, but if it happens I'm ready [to die]." What greater hero can there be?